A treat that your guests never thought was possible: their own flavour of ice cream hand crafted by the ice cream chefs before their very eyes. Offering over 4,500 flavours of ice cream at every service! 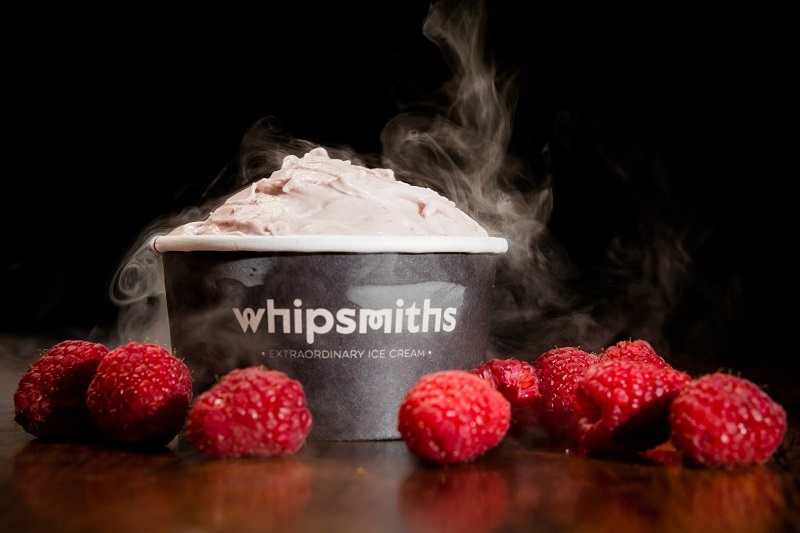 That’s right their patent technology affords your guest the option to create their very own ice cream flavour and in just 40 seconds using liquid nitrogen which creates an amazing and memorising glowing mist. Whatever the event their private hire service guarantees to add a touch of magic. Their ever growing range of mobile carts and modular workstations can simply be wheeled into position and set up in minutes, bringing all the magic and theatre of their Extraordinary Ice-Cream to your home, workplace or venue. Whether it is an intimate gathering for 20 or a corporate event for 5000 guests they will tailor a solution to suit and their team will work to ensure your event is both exciting and successful. An array of 24 ice cream ingredients to create your own flavour ice cream and sorbets that’s over 4500 flavour combinations. Capabilities per cart with two machines (more can be added at extra cost) 80 portions per hour. Served in a paper cup only. They understand what is required for events. Attention to detail, professionalism and THEATRE to match. They have developed their technology and equipment to suit the requirements of the customers. Offering fully brand-able carts, uniforms, menus, cups, spoons and napkins and flavours. Immerse your guests into a world of ice cream by allowing them to hand pick fresh, seasonal and quirky ingredients from our buffet table. Each of your guests will be able to fill their cup with a choice of these ingredients then pass to our nitrogen ice cream chefs to whip and freeze it instantly in a magical mist of nitrogen vapour. Offering over 4,500 flavours of ice cream available at every service! That’s right their patent technology affords your guest the option to create their very own ice cream flavour. Hand pick your ice cream ingredients, a selection of 24 delicious ingredients to create your own flavour ice cream and sorbets. Capabilities per cart with two machines (more can be added at extra cost) 80 portions per hour. Served in a paper cup. Allow extra time for cones. For an extra bit of fun why not add our toppings table. Offering your guests a treat that they will never forget ice cream, savoury canapés and sorbets, hand crafted by our ice cream chefs before their eyes. Choose from the extensive menu two flavours where the ice cream chefs will whip and freeze them in few minutes using liquid nitrogen which creates an amazing and memorising glowing mist. This service is more suited for large events where you need to serve larger crowds in a shorter time window. Capabilities per cart with two machines (more can be added at extra cost) 480 portions per hour. Each ice cream is scooped direct fresh from the mixer bowl into either a cup, cone, or pretty much anything you want.